These 17 new projects supplement the initial 17, which were agreed almost one year ago, and cover areas such as training, capability development and operational readiness on land, at sea and in the air, including cyber-defence. PESCO is a Treaty-based framework and process for the purposes of deepening defence cooperation amongst EU Member States who are capable and willing to do so. The goal is mutual development of defence capabilities and making them available for EU military operations. In this way it is expected the EU’s capacity as an international security player to be enhanced, the protection of EU citizens to be supported and the effectiveness of defence spending to be increased. The Cyber Threats and Incident Response Information Sharing Platform, which is one of the newly announced projects, will develop more active cyber-defence measures and the goal is the traditional firewalls to be replaced by more active measures. Under another projects it will be developed and built a prototype European armoured infantry fighting vehicle. The goal is the future vehicle class to ensure everything from combat and reconnaissance support to logistics, command and control, as well as medical support. The scope of the Military Mobility package is support of the member states’ commitments in order to simplify and standardize cross-border military transport procedures, including improvement of the speed of movement of military forces across Europe as reported by a source at the European Defence Agency (EDA), based in Brussels. 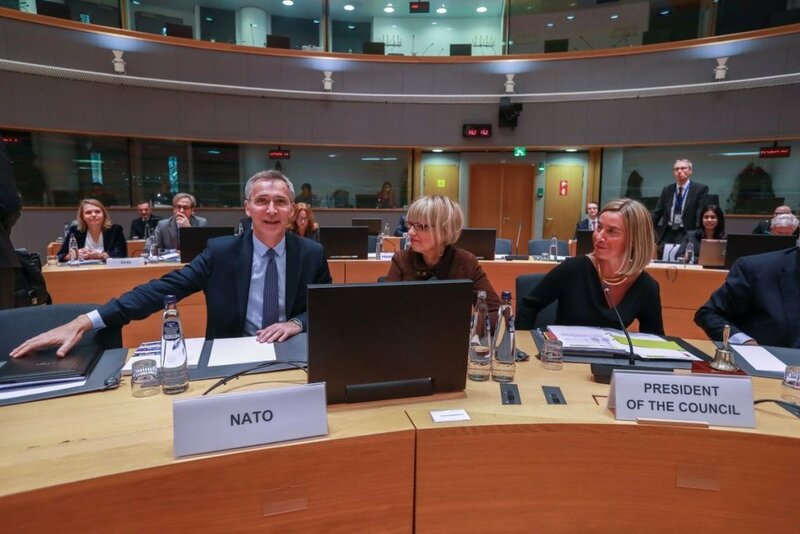 These are only some of the unveiled on Monday new objectives of the EU, welcomed by the NATO Secretary General Jens Stoltenberg in his speech at a meeting of EU defence ministers in Brussels on Tuesday, 20th Novemebr 2018. “I have welcomed EU efforts on defence many times, because I believe that projects such as military mobility, European Defence Fund, PESCO, all of that can contribute to fairer burden-sharing within NATO. It can complement NATO and it can also help to develop new NATO capabilities and also address the fragmentation of the European defense market. So this is something I have welcomed many many, times,” Stoltenberg told reporters. All weapons, developed through PESCO, will be owned by individual EU countries.